ICUBE’s first ever Startup social is happening November 22nd! Have you registered yet??? If not CLICK HERE! To help answer some questions you may have, check out the frequently asked questions below. Where is the event? Where should we park? The event will take place in the Blind Duck Pub at The University of Toronto, Mississauga (3359 Mississauga Rd, Mississauga, ON L5L 1C6). The Blind Duck Pub (map) is inside of UTM’s Student Centre. (Follow UTM street signs to the “Student Centre” and directional signs will be placed from parking and other locations to the venue). FREE PARKING is available in the CCT Underground Parking lot (map). It’s going to be cold outside, so park inside! Please note free parking is only available for our guests from 5:00pm – 10:00pm. What is dress code for this event? Dress code? “Startup Style.” Whether you identify as a coder (hoodie), investor (quarter zip), banker (suit and tie), you are totally welcome in what you’re wearing from wherever you’re coming from! 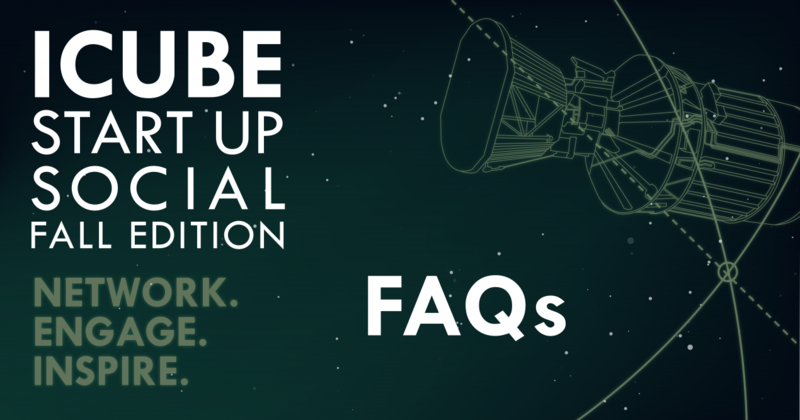 Since there’s too much to fit about Darrell in this tiny FAQ box, you can use the “ASK DARRELL ANYTHING” page to ask anything about being an entrepreneur and your question could be answered from stage at the ICUBE Startup Social! Veggie Spring Rolls, Yalla Fries, Mini Tacos, Veggie Cups, and it’s a startup event of course PIZZA! What’s the #hashtag for the event? The goal of this Startup Social is to inspire you to start something new and meet new startups who are starting something new. You have the tools, the resources, and ICUBE here to help – let’s do this! We look forward to seeing you tomorrow at the ICUBE Startup Social – if you haven’t registered, there might still be time!